Starring Regina King, KiKi Layne, Pedro Pascal, Stephan James, Ed Skrein, and from Moonight (2016) director Barry Jenkins, If Beale Street Could Talk is a drama / romance set in early 1970s Harlem. Based on rightly celebrated American novelist and social critic James Baldwin’s book of the same name, at the centre of the story is Tish. Tish is a pregnant young black woman who’s desperately scrambling to prove her fiancé innocent of a terrible crime. There are some moments in this movie where I wanted to hit the fast forward button for a few seconds. Yet, overall I’d say that at first you may resist the sometimes almost dream-like pace of this story, but soon enough you surrender to it. And you do so on account of the well written dialogue, the musical score, the great performances and Jenkins’s depiction of a truly united, loving family – generally speaking and in the face of great injustice. Well edited with flashbacks that are expertly woven in, this one is a movie that will one minute break your heart and have you extremely disappointed in the capacity of the human to hate. Then the next minute make you smile at the beauty of love as you take a moment to appreciate the strength and love of family and friends when you need them most. As a fan of great writing, I can only imagine the pride of the actors who got to speak Baldwin’s words. The writing stood out so much for me that, had I not already known that Baldwin was behind it as the movie played, I’d have definitely had to make a note to look this great ‘new writer’ up. Watch it for all the reasons above. Especially the dialogue, the family unit, for some insight into being black in America, to discover KiKi Layne – if you didn’t already know – and of course, love. It’s a shame that upon returning to America after winning 4 gold medals at the Berlin Olympics, Owens wasn’t treated as well as you might expect for an American hero. During that time, as bad as things were in Nazi Germany, they weren’t great for people of colour in the United States either. 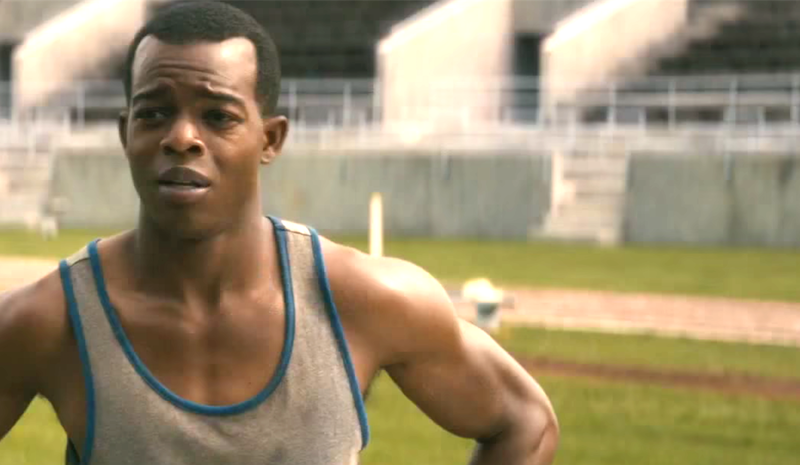 Nevertheless, Race, the story of Jesse Owens is still a powerful one, especially for all oppressed people with big dreams. Directed by Stephen Hopkins; Stephan James stars as Owens with Jason Sudeikis, William Hurt and Jeremy Irons in the key supporting roles.